Sonora shopping centers online – huge database of shopping areas in Sonora (Mexico). Information about shopping centers, malls, factory outlet locations in Sonora, Mexico. Select Sonora shopping areas from the list. 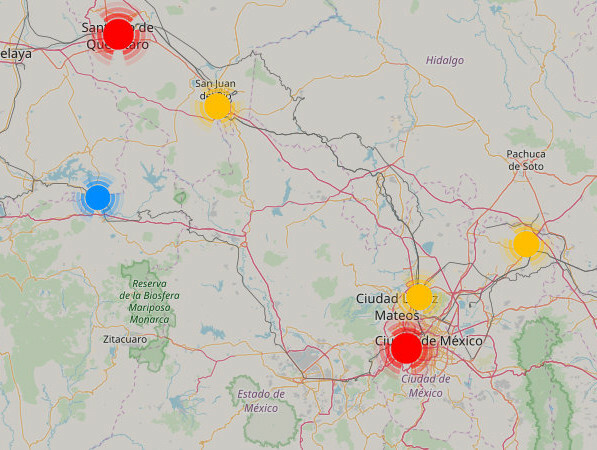 All Sonora shopping centers, malls are also displayed on the map. Calzada Agustín García López No. 1000 Nte 85440 Guaymas, Son. Blvd. Cuauhtemoc No. 1100 y Leona Vicario 85820 Navojoa, Son. Ave. Guillermo Chavez No. 501 Fracc. Huerta CP. 85850 Navojoa, Son.